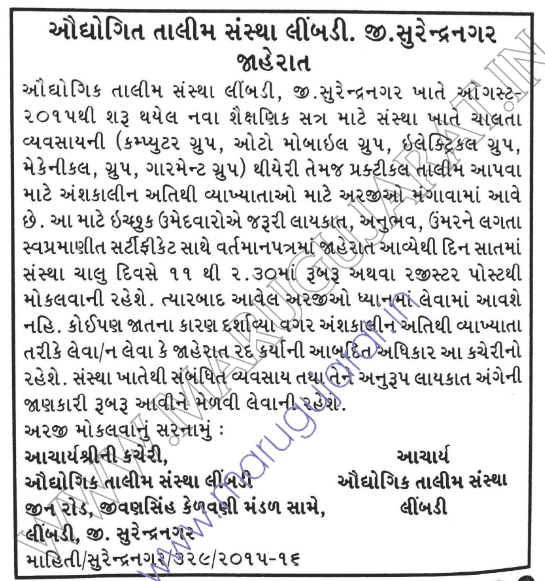 ITI Limbadi has published a Advertisement for below mentioned Posts 2015. Check below for more details. Address to sent Applications : Principal, ITI Limbdi, Jin Road, Opp. Jivansinh Kelavani Mandal, Limbadi, Surendranagar.